Dictators are becoming more sophisticated, according to William Dobson. Studying techniques used by repressive rulers can give insights for challenging injustice in any country. The usual idea of a dictatorship is a ruler at the top who uses centralised control, surveillance and violence to smash any challenges. But sometimes heavy-handed measures can provoke internal opposition and trigger concerns by foreign governments and international organisations. So rulers are becoming more sophisticated, learning from their experiences, from their opponents and from what happens to other dictators. 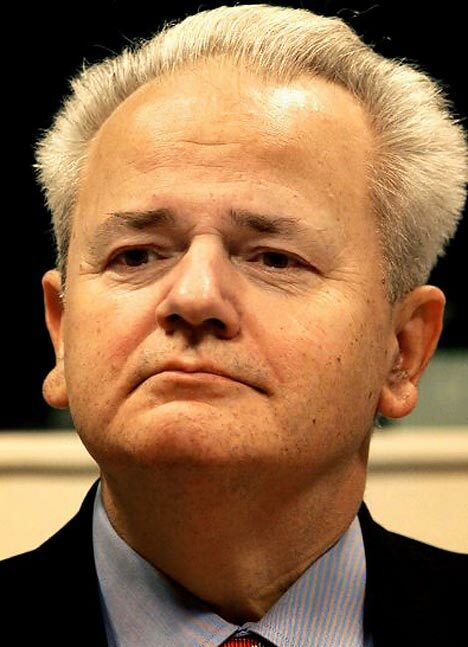 One of the dictators to lose the struggle was Slobodan Milošević, who ruled in Serbia through the 1990s. The opposition movement Otpor used a variety of tactics to drum up support, including many humorous stunts, and pushed opposition parties to produce a united ticket. Milošević called an early election in 2000 and tried to steal it through vote-rigging, but a country-wide convergence on Belgrade caused Milošević’s supporters to give way. Otpor activists went on to provide advice to opposition movements in numerous other countries. To avoid a similar fate, rulers are learning to be more creative and flexible. They can allow a bit of dissent to give the appearance of free speech. They can set up regime-friendly citizens’ groups. They can harass opponents using low-key, procedural methods, such as fire and safety inspections. They can keep the population happy by not interfering with personal activities, maintaining economic growth and responding to citizen complaints. This is the message from William J. Dobson in his important book The Dictator’s Learning Curve (Anchor, 2013). Dobson, an experienced US journalist and editor, spent two years travelling the globe to study repressive regimes, interviewing government leaders, bureaucrats, opposition politicians and activists. He concentrated on five countries: Russia, China, Egypt, Venezuela and Malaysia. From this study of struggles over freedom, he offers numerous fascinating personal profiles, accounts of campaigns, and explanations of tactics. 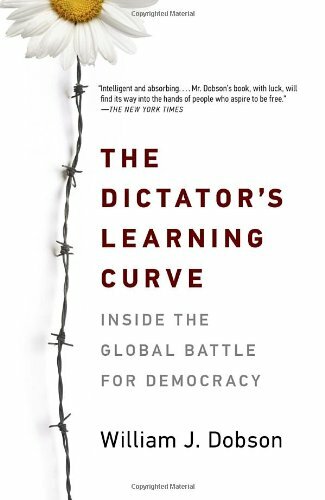 The Dictator’s Learning Curve is one of the most readable accounts available of the uses of nonviolent action to challenge regimes and of the methods used by regimes to counter it. Dobson did not investigate armed resistance to governments such as in the Philippines or Syria. Instead, he highlights the insights used by campaigners using leaflets, vigils, rallies, strikes, boycotts, sit-ins and other methods of nonviolent action. Dobson writes as a journalist and in this book shows the advantages of avoiding an academic style. He offers many more insights than a typical academic text, but without the sort of scholarly apparatus and pretensions that can be so off-putting to people outside academia. One favourite technique of sophisticated rulers is to set up procedures and organisations that give the appearance of openness and fair play without the substance. For example, Putin in Russia set up the Public Chamber to give the appearance of allowing criticism of the government, but critics are not allowed to speak directly to the people. Dobson quotes Tanya Lokshina of Human Rights Watch as saying that government officials “want independent information, but they want to use it for their own purposes” (p. 24). In the old Soviet Union, there were sham elections, with Communist Party candidates typically receiving 99% of the vote. The trouble is that 99% is not credible to anyone. Cagey rulers instead run elections in which they win by a respectable percentage, but not more. Ideally, they would like to win without stuffing ballots, and sometimes this is possible. 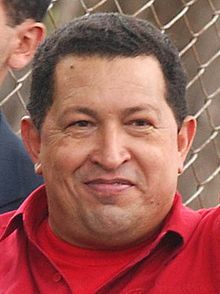 In Venezuela, Hugo Chávez won one election after another, thereby gaining great legitimacy. Dobson recounts how Chávez controlled most of the television stations and was on air for hours every week. He also hampered opposition candidates by banning them from running, imprisoning some of them, creating an elaborate gerrymander, and maintaining a constant state of alarm about dangers from the US government. Chávez was wily enough to gain popular support by rigging the system in a way that wasn’t too blatant. He stacked the electoral office with loyalists, and the electoral office set up the gerrymander that ensured that Chávez’s party could win even with a minority of the vote. Another important technique is to allow greater freedom but only in areas that do not threaten rule at the top. Chinese leaders are expert at this. Chinese people have greater freedoms than before, including to change their residence, to travel to other countries, to select careers, to obtain information and to live their private lives as they choose. What they don’t have is political freedom. Chinese rulers have instituted a raft of reforms, including local elections, limits on terms of office, public hearings and involvement of citizens in decisions about local budgets. At the upper reaches of the party, most corruption has been rooted out. On the other hand, Chinese rulers are willing to use force if needed, which turns out to be fairly often, because there is a lot of lower-level corruption and citizen discontent about it. The government now spends more on internal security than for external defence. Regimes have learned not to use heavy-handed techniques against the general population, but instead to concentrate on opposition leaders, who are imprisoned, “harassed, beaten, and denied their livelihoods. Their names and reputations have been destroyed, their families torn apart” (p. 121). The dual aim is to discourage these opponents and cut them off from the people. Just as rulers are learning from experience and observation how to counter challenges from their subjects, so citizens are developing insights and skills in response. The result is an ongoing strategic encounter. No single technique can remain successful for long, because the opponent learns about it and how to counter it. This generalisation applies to both regimes and their opponents. In Venezuela, Dobson reports that there was a consensus on how to oppose Chávez and his machine: be connected to the people, offer alternatives (not just criticism), and be united. When regimes offer new processes to give the appearance of justice and openness, critics may be able to use these processes as levers for making a challenge. In particular, when authoritarians seek legitimacy through the law, they can also be exposed through the law. 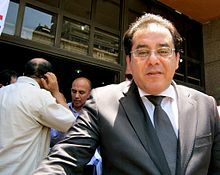 Ayman Nour, an Egyptian notary public, became so effective that the regime took strong action against him, for example banning him from law practice and imprisoning him. Many regime opponents have had to learn the hard way, through trial and error. 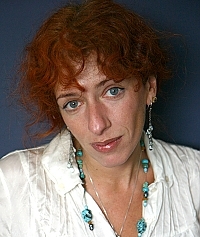 There is now another source of insight: information about nonviolent struggle, obtained through the Internet or in workshops organised by the US-based International Center on Nonviolent Conflict and by CANVAS – Centre for Applied NonViolent Action and Strategies – set up in 2005 by former Otpor activists. Dobson provides an illuminating treatment of the global circulation of ideas about nonviolent conflict, interviewing key figures such as premier thinker Gene Sharp and Otpor veteran Srdja Popovic, and attending a CANVAS workshop. Dobson notes that in some countries, such as Egypt under Mubarak, the official opposition had become tired and predictable, and thus was no threat to the regime. In nonviolent campaigns, built on a carefully constructed strategy taking into account strengths and weaknesses of the regime and the opposition, there is a premium on tactical innovation. Activists cannot rely on repeating the same old methods, but need to keep using new techniques and bringing new sectors of the population into the struggle. One of the key reasons for tactical innovation is that rulers learn from experience, just as activists do. This is one of Dobson’s key themes. Dobson restricts his attention to just a few countries with authoritarian governments, though he is careful to note the differences between them and not lump them together. Indeed, he notes that the techniques used by Chávez in Venezuela, as a populist authoritarian leader, are quite different than those used by, for example, Chinese rulers, who he labels technocrats. What Dobson does not do is spell out implications for countries that are ostensibly free. If elections are fair and no one is being whisked away to prison without trial, then it might seem there is little in common with authoritarian regimes. Actually, though, what Dobson has to say is quite pertinent in nearly every country. Governments in so-called free countries try to stigmatise opponents, use sophisticated media strategies, change the rules to centralise power, harass opponents, and set up formal processes that provide the appearance of fairness without the substance. The rulers in China are eager learners, studying the operations of representative governments for ideas on how to dampen dissent. Campaigners need to be eager learners too, learning from each other and about the various ways that governments discourage dissent and pacify populations. 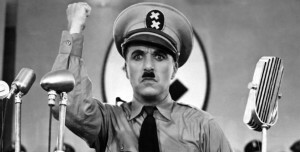 A good place to start is with The Dictator’s Learning Curve. The International Center on Nonviolent Conflict has pointed out a number of errors in Dobson’s book, in relation to the ICNC itself. This suggests there is a need for others to follow in Dobson’s footsteps and verify, correct or extend his assessments. 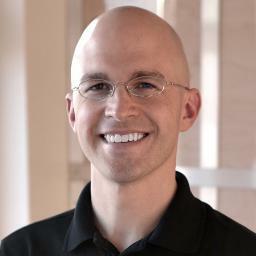 You can become pretty good at a new skill in just 20 hours by following Josh Kaufman’s advice. Josh Kaufman is a busy man. He has three children, runs a business and is a writer on the side. Yet he wants to do more. He wants to acquire new skills and to learn them as quickly as possible. There’s an enormous body of research on learning. There are millions of teachers in schools and universities, not to mention private teachers and coaches on every topic from driving to playing the violin. Despite this wealth of knowledge and experience, Kaufman was looking for something different: how to tackle a completely new skill and become competent as rapidly as possible, fitting it all into his busy life. So Kaufman developed his own system, based on 10 principles of effective learning. Being a practical person, he drew on his experiences in developing the principles, and then tried out his approach. 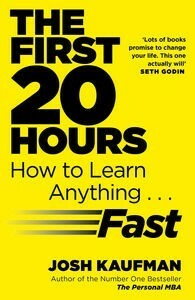 And he’s written a book about it: The First 20 Hours: How to Learn Anything … Fast (Penguin, 2013). There’s a growing body of research on expert performance, the sort of high-level competence that would make you a chess grandmaster, a piano virtuoso, or a famous scientist. The research suggests that achieving this level of performance usually requires at least 10,000 hours of practice. Furthermore, not just any sort of practice will do: it has to be what is called “deliberate practice,” during which you concentrate intensely on improving, typically by working on the most challenging tasks for your level of performance. A swimmer, for example, needs to be pushing most the time during training. Kaufman respects those who seek this level of performance. His goal is something different: to become as good as possible in a short time. It is quite compatible with deliberate practice. Indeed, it could be seen as the beginning of a journey towards high-level performance. Anders Ericsson, the most prominent researcher on expert performance, notes that in learning a new skill most people improve rapidly to start with, but then their performance level plateaus. For example, most people learning to drive improve steadily because they are putting themselves in ever more challenging situations. 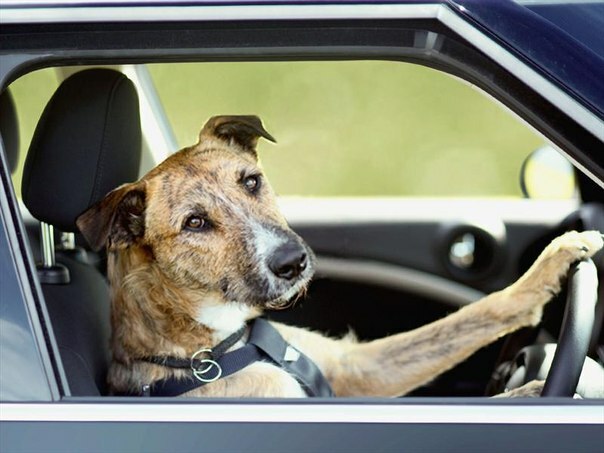 But as soon as they are reasonably competent, they stop pushing themselves: they are driving but not improving much. Race car drivers, on the other hand, need to keep challenging themselves to achieve much higher level skills. Kaufman is interested in this early skill acquisition stage and how to make it really efficient. No messing about attending classes for him. So how good can he get in just 20 hours? Kaufman’s 10 principles for rapidly acquiring skills seem plausible, but how to apply them is what counts. To illustrate this, he offers six case studies in which he personally set out to learn a new skill in just 20 hours. These case studies take up most of the book. They are fascinating and are powerful recommendations for Kaufman’s approach. Kaufman was already a good typist. Using a standard online test, he could type 60 words per minute. But he felt he was moving his fingers too much and so wanted to learn to type using a different, more efficient keyboard. The standard keyboard is called QWERTY, after the first six letters in the top row of keys. Nearly all keyboards are laid out this way, and nearly everyone who learns to type learns this system. So why would anyone want to change? QWERTY was set up in the days of manual typewriters and designed so the moving keys wouldn’t get stuck. But in terms of finger movement it is not ideal. For example, a highly efficient key arrangement would have the most common letters, E and T, on the middle line of keys, so less finger motion is required. Kaufman set himself a goal: in 20 hours, he would seek to learn to type using a different keyboard, up to the same speed as before, 60 words per minute. So how did he proceed? If deliberate practice is the key to skill acquisition, then you might guess that Kaufman spent 20 hours practising using the new keyboard. This is only partly right. One of the key insights Kaufman provides is that it is vital to figure out the best way forward. Time spent doing this is at least as important as deliberate practice. First he had to choose the alternative keyboard he wanted to learn. He investigated several options and chose Colemak, one that suited his circumstances. He figured out how to change his computer so that when he pressed keys, they gave Colemak rather than QWERTY outputs. He then purchased some key covers and set up his keyboard in the new configuration. Now he was ready to practise typing using Colemak. How to practise? Kaufman searched the web to find training programs, and compared the ones he found, choosing one that suited his purposes. Then it was time to begin. He used the program for an hour every day, practising in the evening to that his new skills would be better cemented into his mind through sleep. After just 20 hours total — comprising choosing the keyboard, setting it up and practising using it — he achieved his goal of typing at 60 words per minute in Colemak. Along the way, though, he did a little experiment that is one of the best advertisements for deliberate practice I’ve seen. While learning the new typing system, Kaufman couldn’t just drop all his regular correspondence. He still needed to type. So as soon as he was competent, even at a slow typing speed, he used Colemak. But doing his correspondence wasn’t deliberate practice, because he was concentrating on what he was writing, not on improving his typing speed. I wonder: What if I drop the deliberate practice for a while and just continue typing e-mails and surfing the web? I’m two-thirds of the way to my target performance level of sixty WPM [words per minute] after only fourteen hours of deliberate practice. Can ambient practice carry me the rest of the way, without additional focused effort? I decided to do an experiment: I’m going to suspend my deliberate practice for thirty days and set what happens. I’ll continue typing normally in Colemak, without switching back to QWERTY. With as much time as I spend on the computer, I should be able to get enough ambient practice to hit sixty WPM, right? After thirty days, I retook the typing test. Want to guess my typing speed? Even though I was typing quite a bit, I wasn’t actively focused on improving my skills. Ambient practice wasn’t enough to improve. Kaufman describes his efforts at learning a variety of skills using his approach: yoga, computer programming, the game of go, and windsurfing. In some cases, it’s an advantage to be able to pay for good equipment, as in the case of windsurfing. Kaufman tells how he searches for information about the most suitable equipment for his purposes, yet at a moderate price. And he does this all within the 20 hours. To my mind, his most impressive achievement was learning the ukulele. Musicians will tell you that the ukulele is one of the easier instruments to learn. In 20 hours you can only make a start on the violin or oboe. Although the ukulele is relatively easy, Kaufman set himself a performance target that most people would find impossibly daunting. He was invited to give a talk at a conference to tell about his approach to rapid learning. 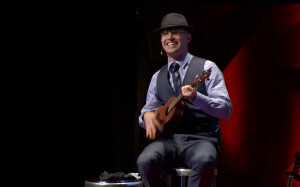 It was just 10 days until the conference and he thought, “Why don’t I demonstrate my approach by learning the ukulele in 10 days and performing on it as part of my talk?” And so he did. He practised hard during those 10 days, but also, as usual, spent a good portion of the time ensuring that he adopted the most efficient approach to practice. The response to his talk, and the accompanying ukulele performance, exceeded his expectations. What happens after 20 hours and a reasonable level of competency? Kaufman makes it clear that this depends. In some cases he wants to keep going: he continues to use Colemak for touch typing. In other cases he decides not to do any more. He became a decent beginner at the game of go, but decided not to continue playing the game. After all, if he learns too many skills, he’ll run out of time to deploy them, much less to continue to improve at them. If you have a desire to learn any of the skills Kaufman took up, for example computer programming, the details he provides about how he learned will prove helpful. Even if you want to learn something quite different, the case studies are inspiring. They show how to approach a completely new area and make the task manageable. In the age of the Internet, this has become far easier than it would have been a few decades ago. Kaufman is a learning addict: he loves learning for learning’s sake, as well as for the satisfaction of using skills. Could his approach be applied to schools and universities? In many courses, students in a semester spend more than 20 hours attending classes — at least if they attend as they are expected to — and are supposed to devote many additional hours in study. Yet, based on Kaufman’s account, my impression is that few students learn as much in 100 hours as he does in 20. There are several reasons for this. Kaufman’s first principle of rapid skill acquisition is “Choose a lovable project.” Many if not most students take courses primarily because they want a diploma or degree. They might enjoy some of the topics, but study is commonly seen as onerous, whereas Kaufman sees it as part of an intensely absorbing challenge. Another factor is that Kaufman is in charge of his learning process. He chooses what to learn and how to learn it. Students seldom have this autonomy. Kaufman pushes himself really hard. He designs his deliberate practice so it is maximally effective in achieving goals he has set himself. Most students are driven to study not by their own desires but by targets imposed externally, by their teachers. Kaufman set himself a goal of performing the ukulele before an audience. Students have a goal of passing an exam set by their teacher. Kaufman wants to acquire skills rapidly. Is it possible to learn efficiently but not so rapidly? I decided to apply a variant of Kaufman’s approach. 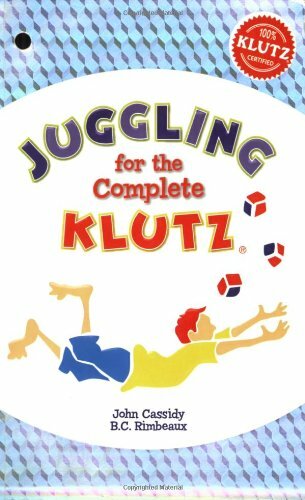 I acquired some juggling balls and the book Juggling for the Complete Klutz, and started to practise. But rather than doing it intensely, I decided to practise only five minutes per day. After a few months, I could juggle three balls with two hands or two balls with one hand without too much difficulty — in less than 20 hours of practice. I discovered that the key is practising every day, even for just a couple of minutes. While learning, I demonstrated to myself the importance of concentration. If my thoughts wandered for even a second or two, I would inevitably drop the balls. I’m not as brave as Kaufman: I’m not going to juggle in front of an audience, at least not yet! A typical textbook tells about subject matter, whether philosophy or physics. What it doesn’t tell is how to go about learning in a really efficient fashion. Educational researchers know a lot about learning, but this is seldom translated into practical guides for high-speed learning. So it takes someone like Kaufman, not a professional educator, to provide an original, inspirational guide. If you really want to learn, enjoy it and get better quickly, then spend a few hours learning from Kaufman’s example. But there is no substitute for practice, a point that Kaufman reiterates. If you want to acquire a new skill, you have to practice. There is no other way. You can prepare. You can research. You can eliminate distractions and alter your environment to make it easier to practice. You can find intelligent ways to make your practice more effective or efficient. But, in the end, you must practice. What feels like the long way is the shortest way. Zero-practice shortcuts don’t exist. No practice, no skill acquisition. It’s as simple as that. One final thought: the only time you can choose to practice is today.